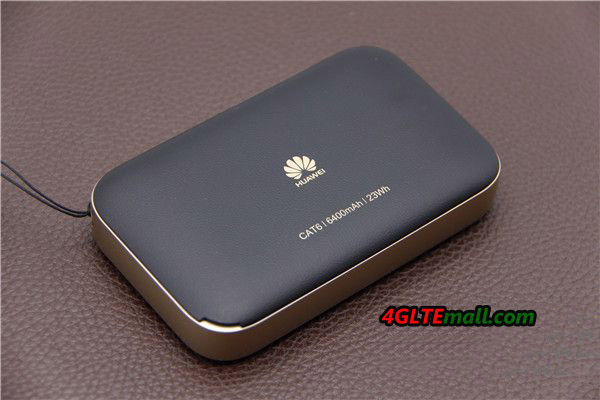 As a successor of the popular Huawei E5770 LTE hotspot, the Huawei E5885 Mobile WiFi Pro2 is now presented to market. The Huawei E5885 comes with a fast LTE Cat6 modem for speeds up to 300 Mbps in the downlink and up to 50 Mbps in the uplink. Compared to its predecessor, the battery has been increased again, it now offers a capacity of 6,400 mAh. Compared to other mobile hotspots, the integrated RJ45 Ethernet port is certainly the most important unique selling proposition. This review will highlight the strengths and weaknesses of the Huawei E5885 Mobile WiFi Pro2 for and pinpoint whether it is worth buying. Before we take a close look at the technical data, we can see the model of the device: black Huawei E5885Ls-93a (this is the exact model name for the European version). Connected to the hotspot is a small hand strap, which is also a USB to micro USB cable. Furthermore, it comes with a power supply with an output of 5V/2A and the corresponding USB to Micro-USB cable to charge the device. In addition, Huawei E5885 comes with a small adapter from Micro-USB to USB Type C, so that even modern smartphones can easily charge with the power bank function of the Huawei E5885. Finally, you will find in the packaging a printed warranty notice and a multilingual quick start guide. In my test, I used the Huawei E5885 in black color, the material on the front and on the back is reminiscent of synthetic leather and feels quite high quality. 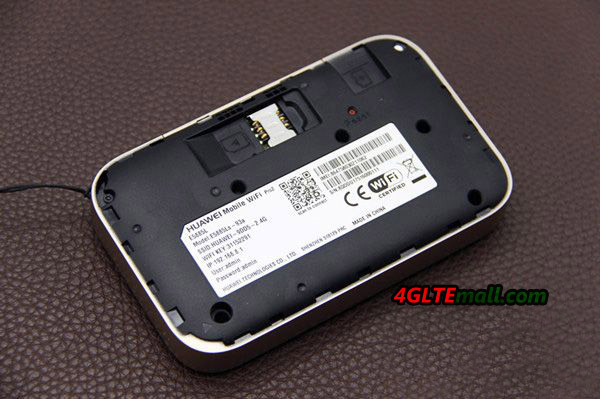 The back of the Huawei E5885 can be removed for insertion of the SIM card and optionally a MicroSD memory card. 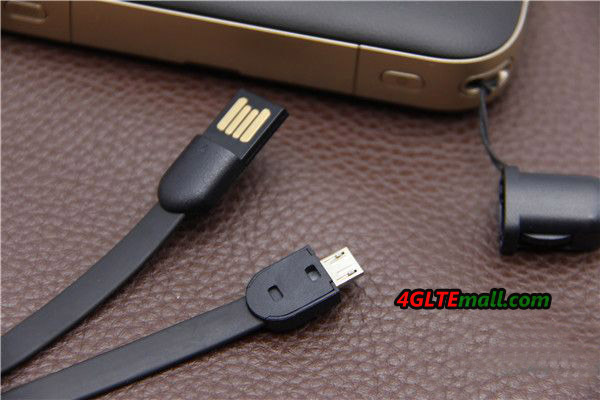 You need a MicroSIM card, but if you use it carefully, you can also use Nano-SIM cards with an adapter on MicroSIM. The battery is not changeable. On the back are important information about the device, including the WLAN name and various passwords. 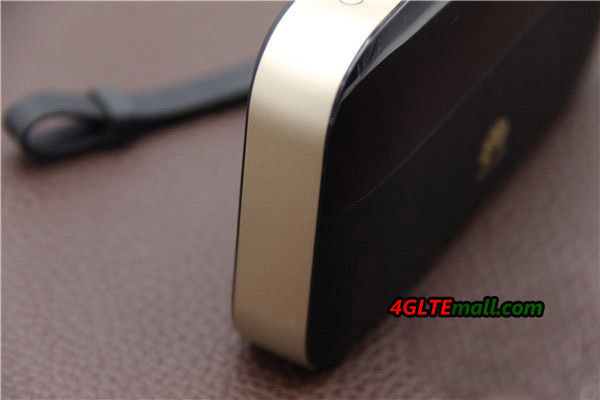 All ports are hidden under a cover on the side of the Huawei E5885. There you will find a micro-USB port for charging the device, a full-size USB port for using the Powerbank function and a RJ45 Ethernet LAN connection. On the front there is a small monochrome display, which shows the most important information about the Internet connection and the device itself, such as the signal strength, the battery level and the number of connected WLAN devices. If you press the power button, which is located on the side of the E5885, you can display the WLAN password in plain text. There is also a WPS button on the side of the hotspot and an NFC antenna on the front for easy Wi-Fi connection without the hassle of entering the password. 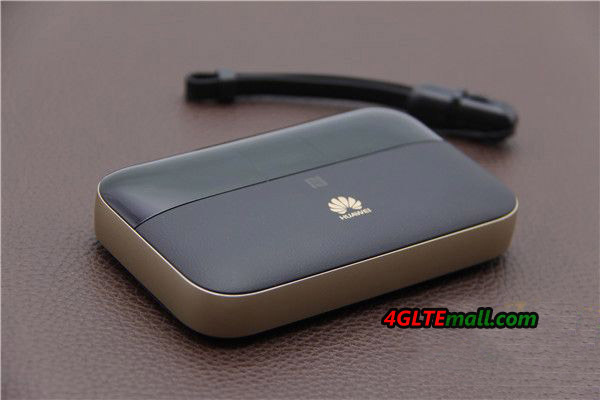 Compared to other mobile LTE hotspots like the Huawei E5787 or the Netgear AirCard 810, the Huawei E5885’s display is very small. In addition, the information displayed is often difficult to read due to strong reflections of the cover. The configuration of the Huawei Mobile WiFi Pro2 E5885 must be done either via the browser Web Interface or the Huawei HiLink App, which is available for iOS and Android. Both the smartphone app and the web interface are easy to use and available in various languages. Much more detailed setting options are available via the web interface clearly, but the app is completely sufficient for everyday use; the most important functions such as SMS, memory card access or configuration of the WLAN extender are also available via the app. The maximum of 32 devices can be supplied with an internet connection at the same time. Both the frequency range around 2.4 GHz and the 5 GHz is supported, the maximum speed on my Apple MacBook Pro was just below 600 Mbit/s. That’s enough to use the maximum modem speed of theoretically 300 MBit/s on the laptop. Of course, the WLAN range depends on various factors, in my test I was able to receive the WLAN signal in the 2.4 GHz band but also over 10m distance and through two walls and surf the Internet fluently. For some users certainly a negative point: there is no way to completely disable the WLAN. Even if only USB or LAN is used for Internet access, the WLAN is active. The WLAN Extender feature has become very important to many users. This feature allows you to use an existing Wi-Fi network as Internet access. This can save data volume on the SIM card. Fortunately, the Huawei E5885 also has a WLAN extender function, which tested perfectly and was very easy to set up. The maximum number of possible WLAN devices is reduced to 31 when using the Extender function. It was noticeable that the speed was limited to about 15 megabits per second – even if the original wireless has made much higher speeds possible. For daily use, the speed of 15 Mbit/s is probably sufficient for most of the users. The RJ45 Ethernet LAN port on the Huawei E5885 side can be used to provide Internet access to a wired device such as a desktop PC. In the test, this worked fine. There is also the option of using the LAN port as an Internet access instead of the cellular modem. This also worked perfectly smoothly in the test, the LAN connection was recognized immediately and the Internet access was established. Unfortunately, the RJ45 Ethernet port supports only 100Mbps connections – Gigabit LAN is not supported. This is annoying, because thus the full modem speed over LAN is not usable. 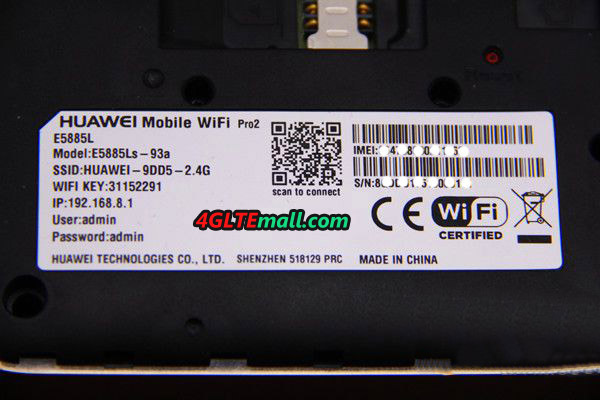 In the test, Huawei Mobile WiFi Pro2 E5885 used SIM card from Vodafone. The reception was quite good at LTE band 3 and 20. Positive: even in regions with a very weak LTE signal, you could still surf fluently, even if downloads lasted much longer. Compared to a Netgear AirCard 810 hotspot, it was noticeable that the uplink speeds were often slightly slower than those of the competing device – but all in all, the data rates of the E5885 were good. Theoretically, the modem allows speeds of up to 300 MBit/s in the downlink and 50 MBit/s in the uplink via LTE, in the test at least about 200/45 Mbit/s were measurable. In most cases, the speed is well below the maximum possible, since the LTE radio cells are now well utilized. 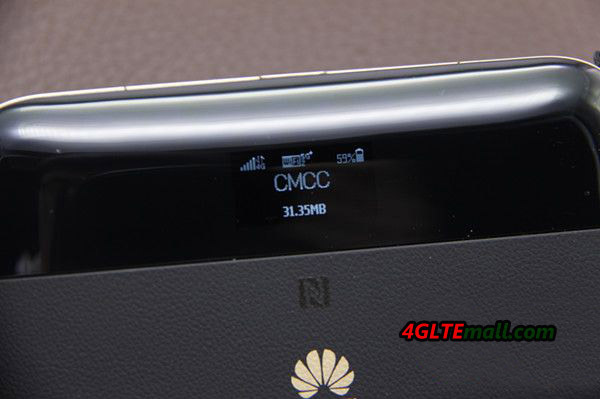 Of course, the Huawei E5885 also supports 3G and 2G as a backup and if desired, you can also specify the network technology in the web interface manually (4G only, 3G only, etc.). Unfortunately, the Huawei E5885 has no external antenna connections, which is quite unusual, because most other mobile hotspots have these connections. 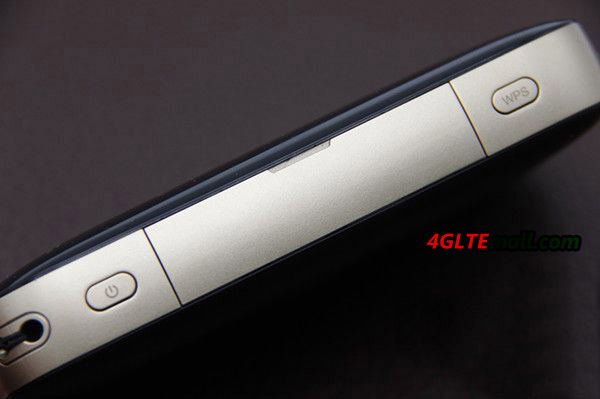 If you want to use the Huawei E5885 abroad, you should pay attention to the supported frequency bands. The Huawei E5885Ls-93a (European version) is perfectly suited for use in Europe, partly also in North America and Asia is possible. For non-European travel, however, it is best to first clarify which frequency bands are relevant in the destination country. 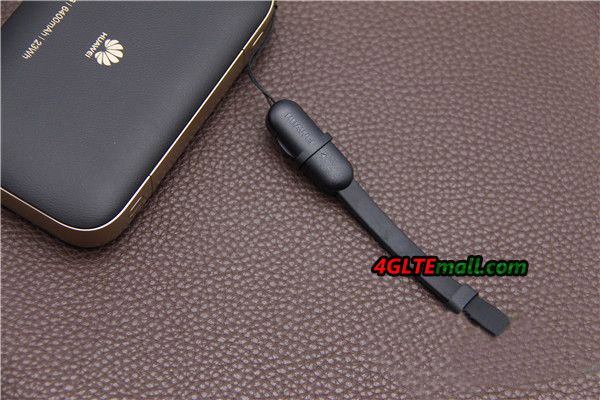 The battery of the Huawei E5885 has a capacity of 6,400 mAh. That should be the largest battery of a mobile LTE hotspot currently. In my review, I was able to achieve a useful life of about 20 hours with continuous use of the hotspot feature. Of course, it takes a long time to charge the battery – the device had to charge about 5 hours with the included 5V / 2A power supply. The Power Bank function to charge other devices worked perfectly in the test. Pleasing is the high output power of 5V/2A, so that current smartphones can be charged quite quickly. After about two weeks of testing, I can recommend the Huawei E5885 to anyone looking for a hotspot with a fast LTE modem, a strong battery, and an Ethernet LAN port. The device worked perfectly in the test and provided a stable and fast internet connection at all times. Another positive feature was the fast and easy-to-use web interface and the WLAN Extender function. The powerbank function is also helpful and is very well complemented by the included accessories. 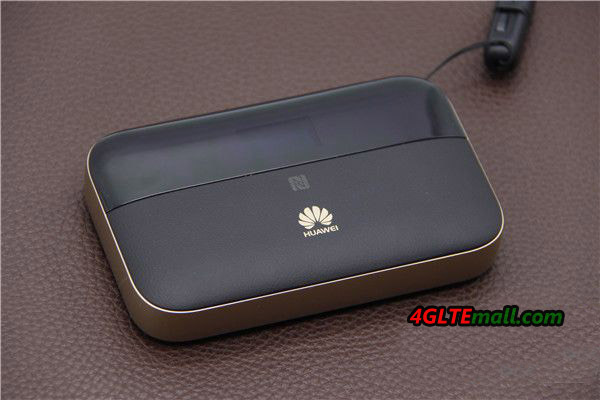 However, the Huawei Mobile Wi-Fi Pro2 E5885 hotspot also has weak points, as the test has shown. There are no connections for an external LTE antenna and even when using the Ethernet connection there is no possibility to completely switch off the WLAN module. With the 100 MBit/s connections, it is incomprehensible why Huawei has not installed a Gigabit Ethernet connection, only about one third of the maximum LTE modem speed can be used over LAN. Even the very small display is quite a weak point. Despite the mentioned weaknesses, the Huawei E5885 is a very good device, the bottom line is the price-performance ratio. Of course, there are alternatives: if you do not need a LTE Cat6 or 5 GHz WLAN, you can confidently use the predecessor Huawei E5770.